Do you remember Digiflavor Mesh Pro RDA, it is feature of an innovative postless clamp design, which compatible for both mesh wire builds and standard coils. Please seize the chance to join the giveaway! Now, let's recommend this RDA to you, it can be Compactable with all drip tip! It is only $23.99 for you! Hot New Item Shipped In 24 Hours, 8% Off Discount! 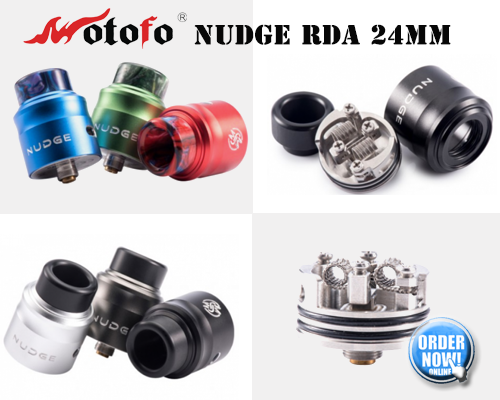 Hi friends, it is a good news for you, Wotofo NUDGE RDA is in stock now, if you buy now, we can ship it to you in 24 hours!